Idaho Power’s Irrigation Efficiency Rewards program encourages energy-efficient equipment and design in irrigation systems. It is an opportunity for Idaho Power agricultural irrigation customers to receive a cash incentive and lower their electric bills. Through this program, you may qualify to receive an incentive from Idaho Power for a portion of the cost to install a new, more efficient system or to make energy-efficient improvements to an existing system. This program helps you pay for energy-efficient upgrades in your irrigation system and encourages and assists you to use electricity efficiently. For example, if Idaho Power estimates your new, more efficient pump will save 15,000 kWh of electricity in an irrigation season, you would receive an incentive for $3,750 (15,000 kWh x $0.25 = $3,750) – assuming this amount does not exceed 75 percent of the project cost on an existing system or 10 percent of the cost on a new system. Idaho Power’s agriculture representatives will conduct a free energy evaluation to help determine what can make your system more energy efficient. The menu incentive option pays you an incentive for the purchase of specific replacement parts and components for your existing irrigation system. The incentive varies by the sprinkler component or part incorporated into your sprinkler system. For example, if you purchase new flow-control nozzles and all new gaskets for your irrigation system on 40 acres with two lines, each a quarter of a mile long, you would receive an incentive for $160 (64 nozzles x $1.50 = $96 + 64 gaskets x $1.00 = $64 for a total of $160). Some incentives are limited to 50 percent of invoice cost and all are limited to two per acre. 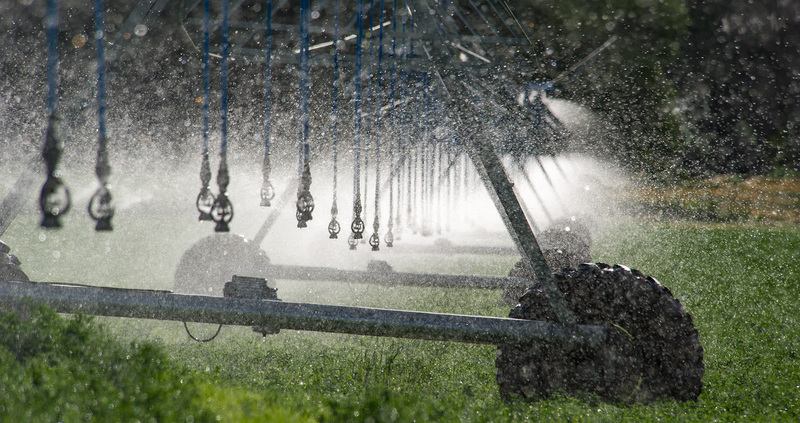 Determine how your irrigation system could be more energy efficient. You may request an evaluation by an Idaho Power agriculture representative in your area. Contact your Idaho Power agriculture representative, and submit an application prior to project initiation. Obtain an itemized estimate of the cost to modify or install your irrigation system from a pump dealer or irrigation equipment dealer of your choice. Idaho Power representatives will review your application and documentation and calculate the estimated kW and kWh savings based on your proposed improvements or new system. If your application is approved, Idaho Power will inform you of the estimated energy savings and corresponding estimated incentive payment based on the information submitted. An Irrigation Efficiency Rewards Program Agreement will be sent to you to sign and return to Idaho Power. Order materials, and install the equipment approved in your application. Your pump modifications or installation must be completed within one year from the date you sign the Irrigation Efficiency Rewards Program Agreement. Note: Your application must be reviewed and approved prior to ordering or installing any equipment associated with the Irrigation Efficiency Rewards program. When the pre-approved materials and equipment have been installed, send copies of your invoices with documentation (as listed above) to Idaho Power. Your incentive will be paid by check after Idaho Power, at its sole discretion, has calculated the energy savings and determined you have complied with the terms of the Irrigation Efficiency Rewards program. Review sprinkler parts covered by the Menu Incentive to determine which apply to your system. If needed, an Idaho Power agriculture representative may help you. Determine how many parts are needed to replace existing and worn sprinkler parts on your system. Purchase and install them on your irrigation system. All components are limited to two per acre. Receipts or invoices itemizing the sprinkler parts must accompany each application. Applicants have one year from the date of purchase to qualify components for a Menu Incentive. Your incentive will be paid by check and sent directly to you after Idaho Power has determined, at its sole discretion, that you have complied with the terms of the Irrigation Efficiency Rewards program.